This is a stunning example of our latest range of in frame hand painted kitchens. 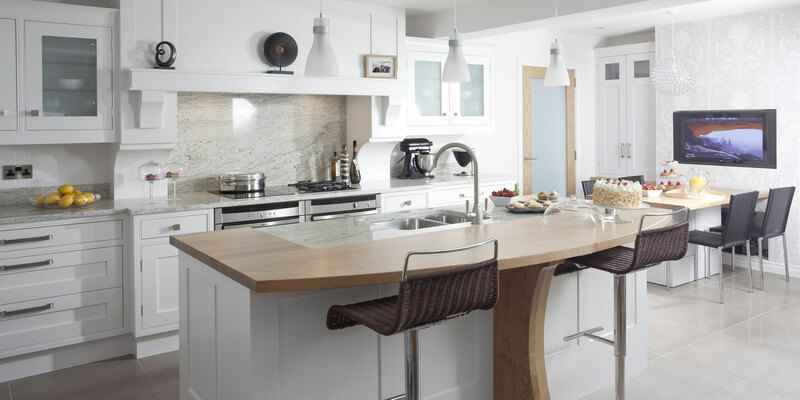 This kitchen has a timeless feel of classic elegance and features a pantry, over mantel dining and breakfast bar area. 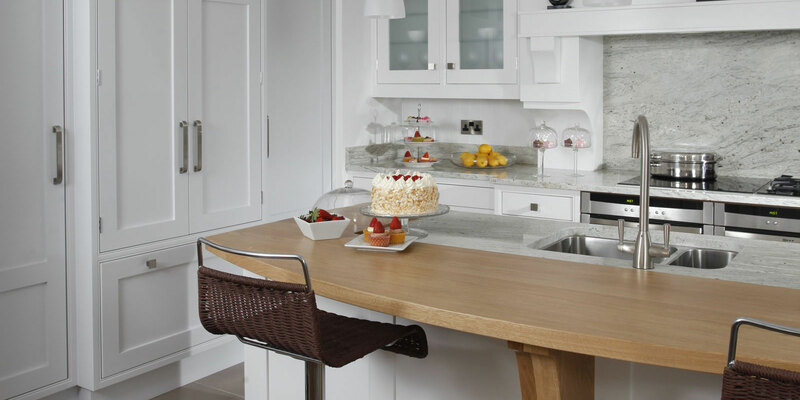 Hand painted tulipwood design; the client loved the idea of a traditional kitchen but was keen to integrate modern appliances and storage solutions. 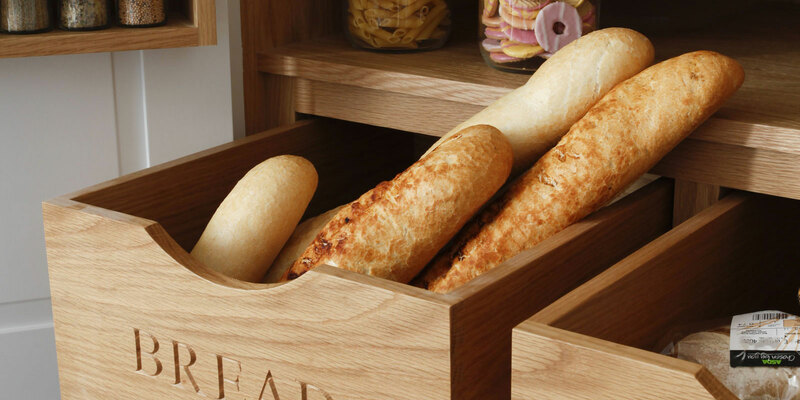 All the doors have a soft close function; drawers have handmade wooden cutlery trays and space dividers completing this beautiful piece of workmanship. 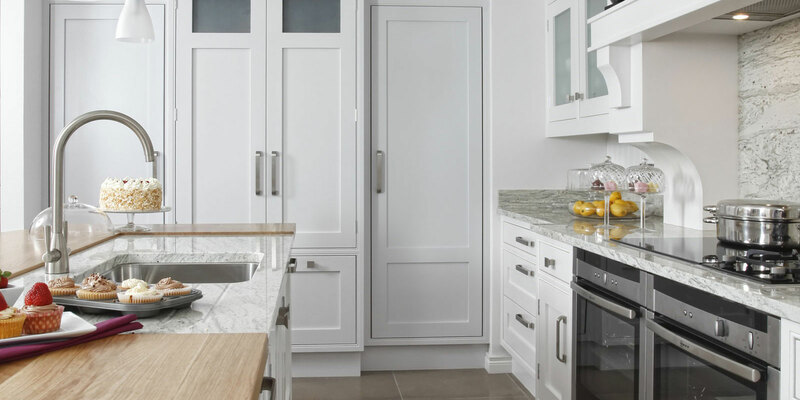 The hand painted door fronts feature two subtly contrasting colours dove grey and antique white with accents of oak throughout. 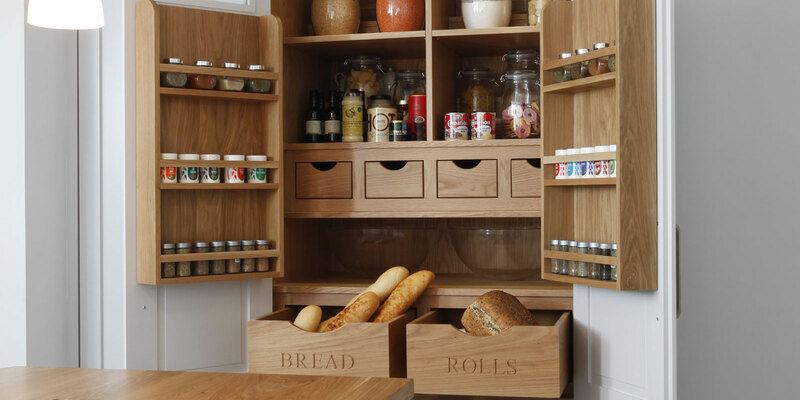 The pantry opens up to provide an array of shelves, drawers, spice shelves and there are pull out cutlery trays to keep your cutlery and cooking utensils at hand. 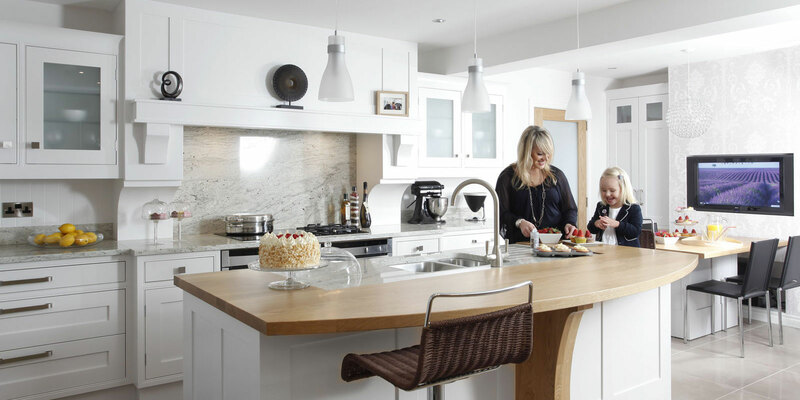 Modern day living demands formal and informal seating in the kitchen. 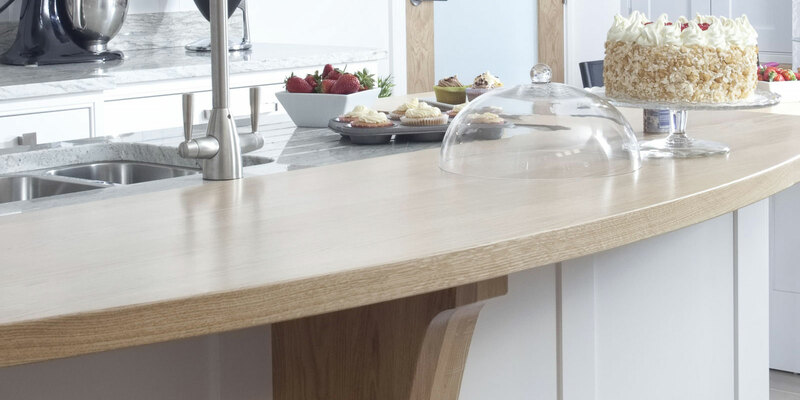 The breakfast bar can seat up to four and the dining area includes media area. 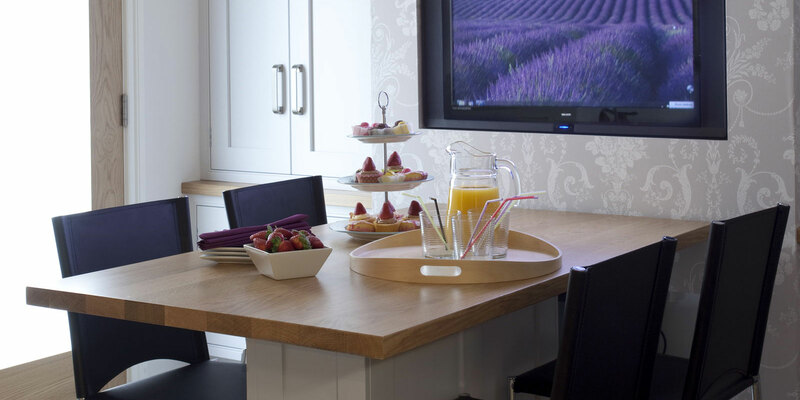 The cupboards features pull out dvd shelves and areas for ipods, phones and laptops; even the most traditional kitchens can suit the most modern of families!